Wheelchair / Mobility Scooter Inner Tube Easy Inflate. 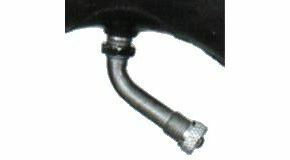 Wheelchair / Mobility Scooter Inner Tube "Off Set Valve"
These wheelchair / mobility scooter inner tubes have an angled/off set valve making them easier to inflate. Please click on image to see sizes available. The quick and efficient service and delivery completely took my breath away ! Well done ! Excellent speedy service. The item was as expected. Easy ordering system, updates on what is happening with the order. Quick delivery. Very Good, staff very helpful and professional. FAST delivery. Highly recommended. Received incredibly quickly and exactly what we were after. First class service highly Recommended.